Indoor and outdoor pest control. 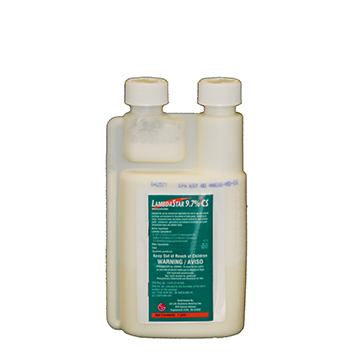 Control a wide range of pests indoors and outdoors with LambdaStar CS insecticide. The only labeled insecticide for Brown Marmorated Stink and Kudzu bugs. Commercial and residential indoors and outdoors: apartment buildings, stores, warehouses, schools, nursing homes, hospitals, restaurants, hotels, kennels; including lawns, ornamental trees and shrubs for parks, recreational areas, and athletic fields. Ants, bedbugs, bees centipedes, cockroaches, flies, mosquitoes, spiders, brown marmorated stink bugs, kudzu bugs, scorpions, ticks, crickets, earwigs, silverfish, rice weevils, clover mites, and many more. See label for complete list.